In Hallein, a small town near to Salzburg, was the so called „Folk Festival“. Headliner was Wolfstone from Scotland. 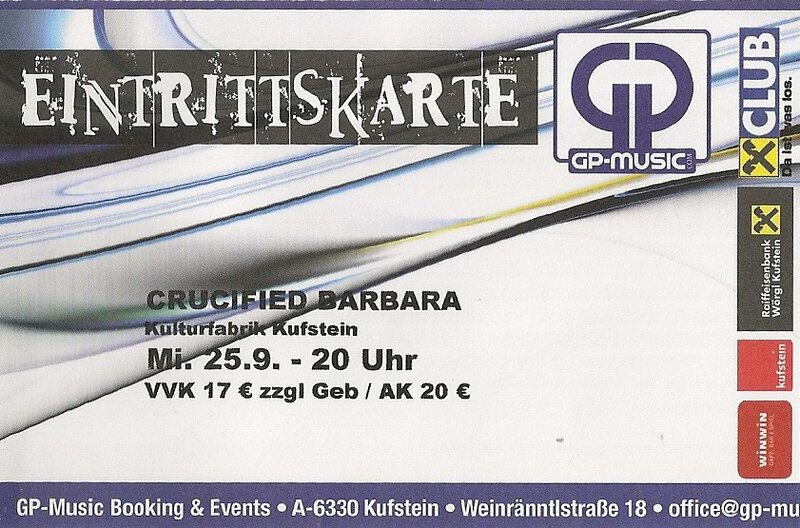 An amazing Folk-Rock-Band! Here’s the song „Ballavanich“ from their masterpiece album „Year Of The Dog“ (1994). 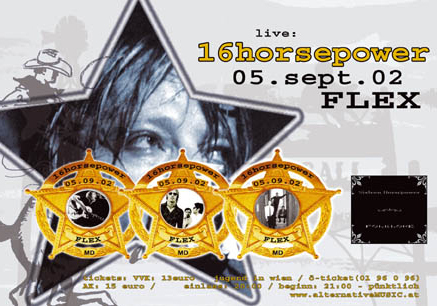 On this day I had my very first David Eugene Edwards live experience: He played with 16 Horsepower in Vienna at the club called Flex. Unfortunately me and my friends were not that close to the stage, but as we stand directly near the soundboard – so the sound was perfect! Amazing performance of the band feat. Pascal Humbert, Jean-Yves Tola, Daniel McMahon and John Rumley. 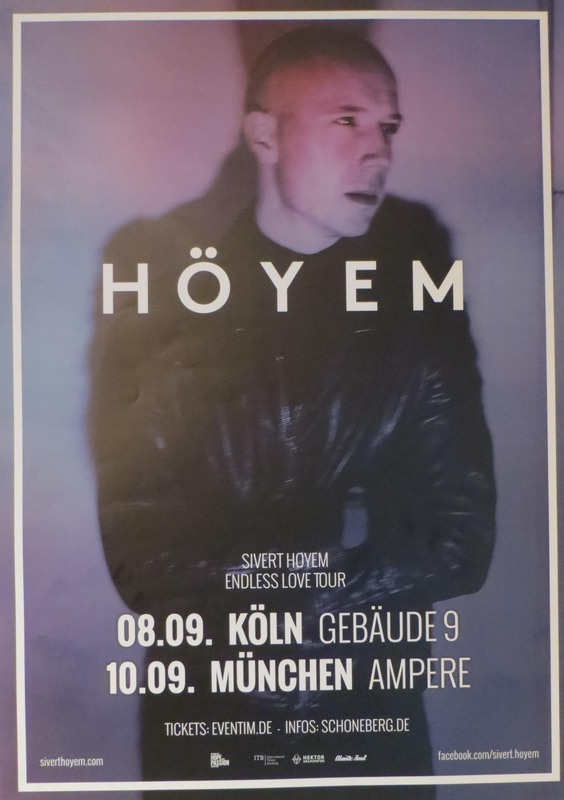 And more DEE live shows should follow over the years 😉 The support act was Convay Savage from The Bad Seeds – he played solo (vocals, keyboards). 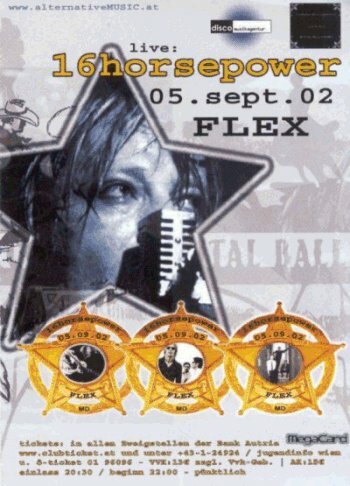 You can see some footage of that tour on the official DVD release „16 HP„. This was the tour to promote the wonderful album „Folklore“ in Europe. Sister Double Happiness with the fantastic singer Gary Floyd performed in Salzburg at the ARGE. It was part of the „Horsey Water“ tour through Europe. Unfortunately there are almost no videos or pictures around, but this one will give you a taste – „Sweet Talker“ live from 1994 – enjoy! Pearl Jam played on that day in Vienna (Stadthalle). The performance was awesome as always and it proved again that this band is one of the best live acts! „Pearl Jam“ was the current album that time. Kaizers Orchestra from Norway played that day in Salzburg at the Rockhouse. If you like Tom Waits this band is a MUST! You won’t trust your ears and eyes when you see this group live performing! They are really out of this world! So if you have the possibility to attend a show of Kaizers Orchestra – GO! Wovenhand played at Le Trabendo in Paris! It was the second time I saw this awesome band with the new Line-Up which featured beside mastermind David Eugene Edwards and Ordy Garrison Mr. Edward French on guitar and Greg Garcia Jr. on bass. With the brandnew album „The Laughing Stalk“ it was obvious that a new and HEAVY chapter in the history of Wovenhand has begun. HOKA! Some awesome shots of this show are here! The “Chelsea” is a typically punk rock club, which is located under the Vienna tube line U6. So, if it’s silent enough, you can hear the wagons when they are gliding over your heads. In the club there are two rooms – one for the barflies, who can also watch football on the big screens and the second one for the concerts. Very small and intimate – so is also the stage! It was obvious, that “Steve Wynn & The Dragon Brigde Orchestra feat. Chris Eckman” (like it was written on the tickets) have to watch their steps. But finally, all five musicians found their place. Before Steve Wynn started the concert, Chris Eckman from the amazing Walkabouts opened the show with a wonderful acoustic set, which featured songs from his brandnew album “The Last Side Of The Mountain”. And this one is completely dedicated to the work of the Slovenian poet Dane Zajc. Chris Eckman wrote English language songs of Zajc’s poems. And this turned out really brilliant! I was really speechless, when he played his new songs “Down down”, “Hours”, “Stranger”, “Ransom” and “Eyes”. The last track of his set was “Healing Waters of the Flood”, which is on his solo album “The Black Field” from 2004. Apart from an idiot, who was yelling “Passion, man!” after the song “Eyes”, I do think everybody enjoyed the performance. A loud “Shut up!” followed shortly after this stupid call and someone excused this person with “This is his only sentence in English!”. So Chris answered politely with a grin: “So maybe he has to learn another one.” After this wonderful show it was clear, that I have to buy Chris Eckman’s new album “The Last Side Of The Mountain” at the merchandising stand. Then, after approximately 15 minutes, Steve Wynn and his band entered the stage. He welcomed us friendly and in an obvious very good mood: “Good to see you all! Thank you for coming out at the election night. Another election nights in the states, you know, I stay at home and get drunk or something like that.” “We need some comfort!”, was the answer and Steve laughed and said: “Okay, we do our best!” And of course they did! “Man, it’s all the Gospel songs today, I don’t know what’s up! The Dragon Bridge Gospel Choir today”. Then the surprise “Here on Earth as well” with the wonderful violin sound gave me the creeps. Another classic ensured, that this feeling continued – “Tears won’t help” also from Steve’s solo debut. A short band introduction followed, before the beautiful “The Deep End” filled the room. With “This one’s for Gene Hackman” Steve introduced the new “I don’t deserve this” – without any doubt another highlight of the show. Then he changed the guitar and some acoustic songs followed. “This is another song of the ‘Crossing Dragon Bridge’. On the record it’s just me and the acoustic guitar and this eight string violin section from Prague. Tonight Rodrigo will play the part of all eight violins at one time”, Steve told us witty as always and the amazing “Punching Holes in the Sky” gave me the creeps again. While Rodrigo and Steve played the song, the rest of the band made a break. Linda fetched her a glass of wine, Chris smoked a cigarette, while Chris Eckman and Eric sat down on the right corner of the stage and drank some beer. “That’s why I’m all so dressed up”, explained Steve after the song. “If you’ve got a violin, you got to be dressed up”, said the sharped dressed man in the suit with tie! With “She came” Steve, Rodrigo and Chris Cacavas played a song written by the Slovenian musician Tomas Pengov. Then the full band joined for “My Midnight” from the album of the same name. It was obvious again, that the audience was happy to hear another classic of Steve’s career. “Love me anyway”, another new one included an excellent duel with guitars, proved one more time, that this new band have found completely together. Chris Cacavas lead on the Keyboard to a trip in the musical past: The Dream Syndicate classic from 1982 “That’s what you always say” hit me with full force. And this time again, the violin playing of Rodrigo D’Erasmo fit perfectly! And Steve sang the line “’cause ever since that time I told you it’s so. Something gets my mind, and I don’t let go” with full intensity and emotion. And the history lesson about Steve’s famous band went on: “The Medicine Show”, in which the audience joined Steve’s singing. For the wonderful “Slovenian Rhapsody II” Linda came from behind to the edge of the stage and played on a drum. Chris Cacavas on the accordion, the rest of the band and also the audience sang along. “You all were wonderful, take care and good night” said Steve, before leaving the stage for the first time. After a short encore break Mr. Wynn and Rodrigo came back for an outstanding version of the Dream Syndicate evergreen “Boston”. Linda Pitmon climbed back to her drums and joined for the last two minutes on percussion. I was really speechless and my eyes became wet – I never heard such a beautiful version of this amazing song! After a small discussion (Linda looked questioning to Steve) the new “Wait until you get to know me” showed again a band in an excellent mood, which had a lot of fun on the stage. For this track, Rodrigo also played pizzicato on his violin. “Carolyn” transferred my thoughts back into the year 1990 and with “405” a personal favorite came next. Unfortunately the sound was all of sudden very noisy and I can’t hear Steve’s voice anymore that was always clean at this night. Anyway – I was in Heaven by hearing this rarity (very heavy with a lot of feedbacks!) live! As I looked on Steve’s setlist I saw “Anthem” listed as the last song, but he changed his mind! “Amphetamine” was THE PERFECT close for this awesome show. The audience went nuts and cried, cheered, clapped, danced and sang while the band rocked with full force. After the last tone was played I found myself happy, thankful and full of sweat at the “Chelsea”. On this day I saw two amazing shows in a row! First, Chris Eckman (Walkabouts, Chris & Carla), who opened with a wonderful solo performance. He played mostly songs from his latest release „The Last Side Of The Mountain„. Then Steve Wynn & The Dragon Bridge Orchestra (feat. 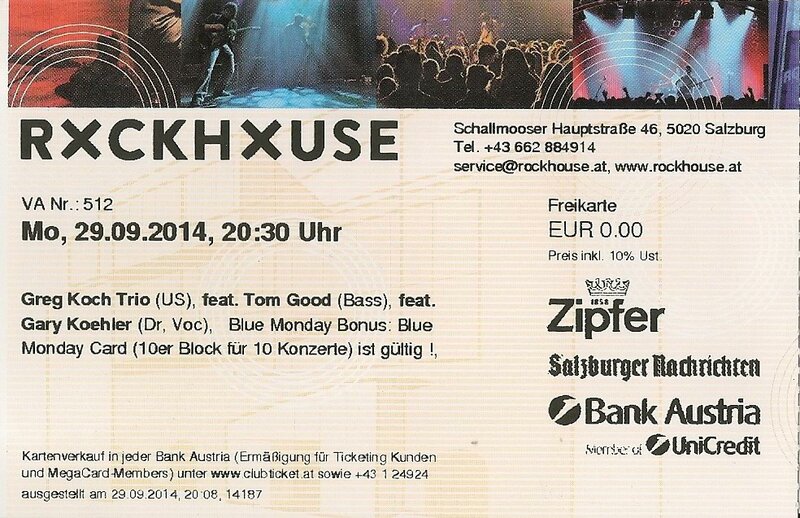 Chris Eckman on Guitar and Backing Vocals) entered the stage of the Chelsea in Vienna. A fantastic night of awesome music! 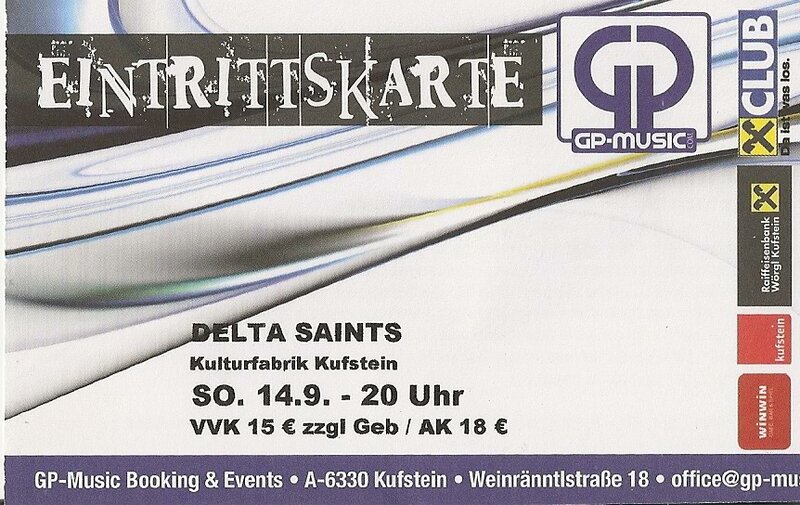 You can watch almost the whole concert here (song by song) – enjoy!